How do I unlock FTP access? All our shared hosting packages include FTP access, but please note that before accessing you will need to “unlock FTP” via the hosting control panel. The FTP locking system was implemented a few years ago in order to improve security for all of our customers. The lock is designed primarily to counter the advance of well known viruses which steal passwords stored within FTP clients. A good example of this is the Gumblar virus. By default, FTP is not accessible by the outside world. There are two options available for you to enable FTP. To get started log in to the relevant hosting control panel. 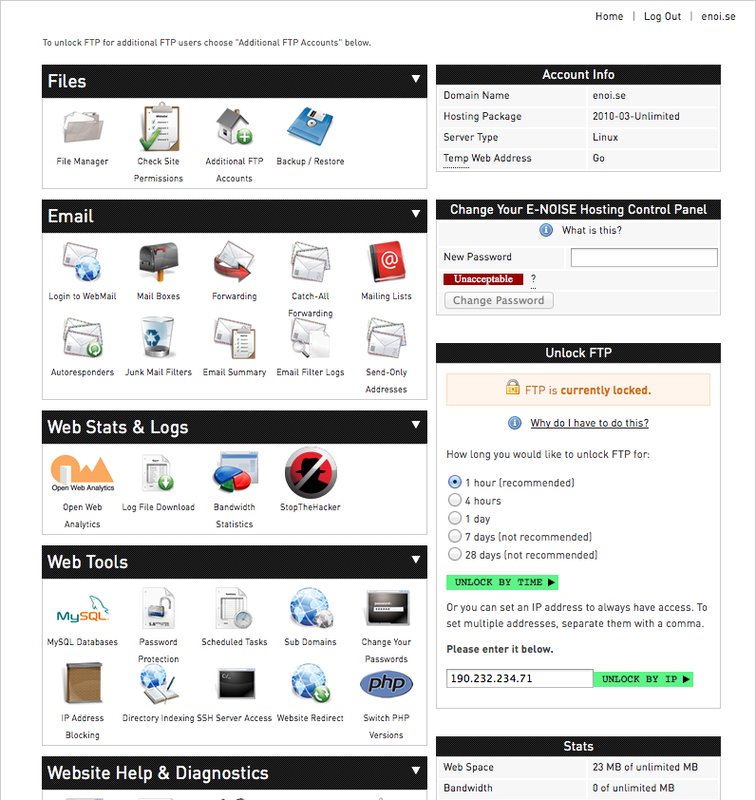 Figure 1: The ENOISE hosting control panel home page. 1) You can choose to enable global FTP access for a set duration, from 1 hour up to a maximum of 28 days. We would advise that you prepare any changes to your website and then, when you are ready to upload it, unlock FTP for the duration required. Figure 2: On the right hand side, you will find the option to unlock FTP access. 2) Alternatively, you can set a trusted IP address to have permanent access to FTP, this way periodic unlocking is unnecessary . You can assign multiple IPs by separating them with a comma. We attempt to determine your IP address automatically, this will populate the IP address field by default. That’s it! You should now be able to log in via FTP. 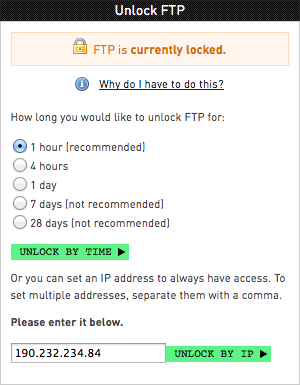 Figure 3: When FTP is unlocked, it’s should look something like this. If you need to ask a question to a human being you can contact our support team using our support tickets system on our main website. Alternatively you can email us at help@enoi.se.